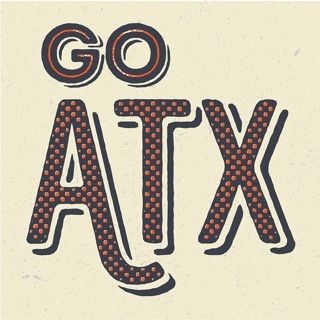 Flying out of Austin–Bergstrom International Airport? Reserve your parking space in advance with the Park&Zoom reservation app! 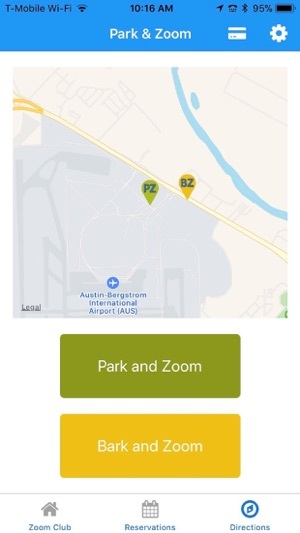 Park&Zoom is the easiest, zoomiest way to get to your terminal, and our app makes it even easier. Just download the free app, choose between our standard Covered or luxury Valet parking, reserve your space, park, and ZOOM! ZOOMCLUB – Sign up for our ZoomClub or log into the app with your existing account to rack up points toward coupons, free parking days, and other cool perks! GUEST RESERVATIONS – Don’t want to take the time to sign up? No problem! Just choose the option to make your reservation as a guest. VIRTUAL MEMBERSHIP CARD – No need to dig through your wallet. 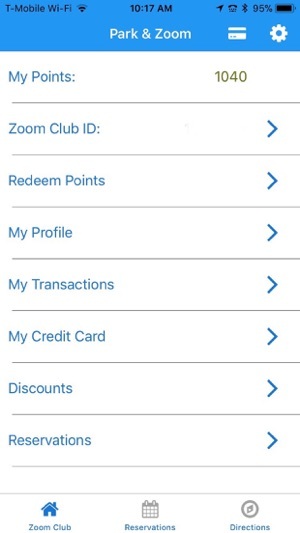 Our app comes complete with a virtual membership card for ZoomClub members. GET DIRECTIONS – Need help finding our facility? Use our app to get directions, no matter where you are. LOW FEE – Reserving a space at Park&Zoom only costs $1.95, and when you join ZoomClub, your first reservation is free! EV CHARGING – Have an electric car? For our valet customers, charge up with one of our free EV chargers while you're away! ENVIRONMENTALLY FRIENDLY – Park&Zoom is committed to keeping Texas beautiful! Our facility features energy-efficient LED lighting, a retention pond for recycling water, and a shuttle fleet comprised of Ultra-Super Low Gas Emissions diesel shuttles and all-electric shuttles. Download app, register, enter credit card, and make reservation. I selected to valet. No one is there when I arrive, but I walk around and find someone, show my reservation and it really didn’t matter that I had done this on the app. When I return, my car was waiting (that part was excellent, but has nothing to do with the app). When I paid, the app did nothing for me, and their system could not take a credit card. Fortunately I had cash, but this is 2018 and they should let me pay with the app or at least accept ApplePay. Getting reimbursed for cash is a pain. This app was completely useless and a waste of time. 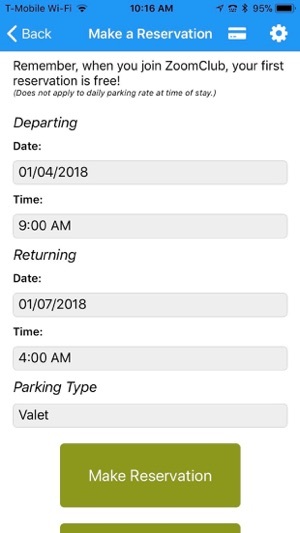 Great App for the convenient airport parking. There is a major flaw in the view upcoming reservation. Registration failed with unknown errors, however I got and mail saying I was registered. Then login fails with unknown errors. If there really are errors, you need to make the app handle them better so the user knows what is wrong.